Hey there folks! 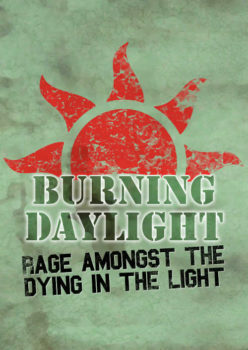 Some of you have been waiting literally months for this, so it’s time to announce the launch of Burning Daylight. Burning Daylight is a hand management game, where you’ll command a gang of rough-neck punks living in abandoned malls, after the fall of late capitalism where the only thing you have to hold yourselves together is one another. Run missions in the forest, steal from the City, or pursue your own individual projects – it’s up to you to choose how you’re going to solve problems. Burning Daylight takes 72 cards and fits neatly in a tuckbox, and doesn’t require you to shuffle an extremely larget deck multiple times. 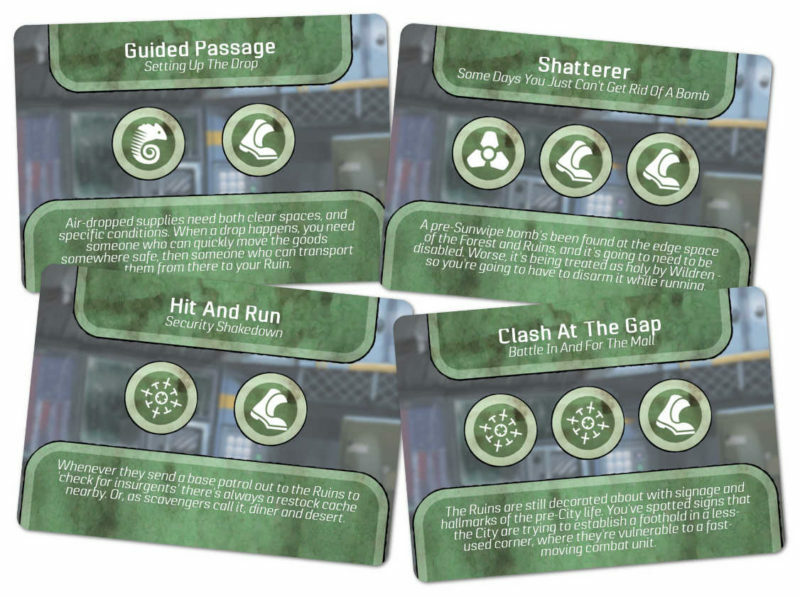 If you want to play a game with tactical sinew, that can handle 2-5 players competing over missions but not actively attacking one another, if you want to build and customise your own gang to make combos so the game changes from game to game, then check Burning Daylight out on its store page, or on DriveThruCards.